A home loan and a property loan may seem similar, but they differ from each other in a number of ways. Thus, it is important for you to be well informed about these differences before you make a choice between the two. This will ensure that you don’t choose the incorrect loan option for your needs. Typically, home loans are availed to buy a house, purchase a plot or construct a property, while a property loan or a loan against property meets your financial requirements in myriad ways. You can access a hefty amount by placing your property as collateral. To understand better, take a closer look at the key differences between a loan against property and a home loan. The loan-to-value ratio is simply the percentage of loan you can get against the value of your property. For a home loan, the amount sanctioned is comparatively higher than a loan against property, around 90%, whereas for a loan against property you can expect LTV of 60–70%. In both cases, the lender will visit the concerned property for valuation before sanctioning a loan. You can avail a home loan to purchase a house, buy a plot, renovate your home or to construct a new home. On the other hand, loan against property does not restrict its usage. You can use it to buy commercial or residential property, for lease rent discounting, or use the sum for purposes such as medical expenses, education expenses, wedding expenses or the expansion of your business. When you take a home loan, you can avail tax exemption for the principal paid under Section 80C and on the interest paid under Section 24 of the Income Tax Act. As a first-time homebuyer you can also claim an extra Rs.50,000 under Section 80EE. However, a loan against property offers tax benefits in limited capacity, based on how you use the funds from the loan. In comparison with a loan against property, a home loan is offered at lower interest rate. This is because lenders are of the opinion that chances of default in case of a loan against property are higher. Also, on the whole, a home loan is one of the most sought after and competitive loans available in the market. The tenor to repay your loan is higher for a home loan in comparison with a loan against property. You avail a home loan for higher amount therefore, tenor range offered to you is longer. However, loan against property may come with a flexible tenor if you choose a lender carefully. Now that you have learned the differences between the two loans, you can choose one as per your requirements. It is best to apply for a Loan Against Property from reputed lenders like Bajaj Finserv as they sanction substantial funds at nominal interest rates while offering you added benefits. With this loan, you can avail funds up to Rs.3.5 crore in case you are self-employed and up to Rs.1 crore in case you are salaried, at a nominal interest rate. You can choose to repay the loan over a flexible loan against property tenor ranging from 2 to 20 years in case you are salaried and up to 18 years if you are self-employed. Moreover, you can apply for the loan online by conforming to the loan against property eligibility. This will ease the borrowing procedure and hasten access to funds. Checkout & Read also: Why Use Accounting Software in the Business? 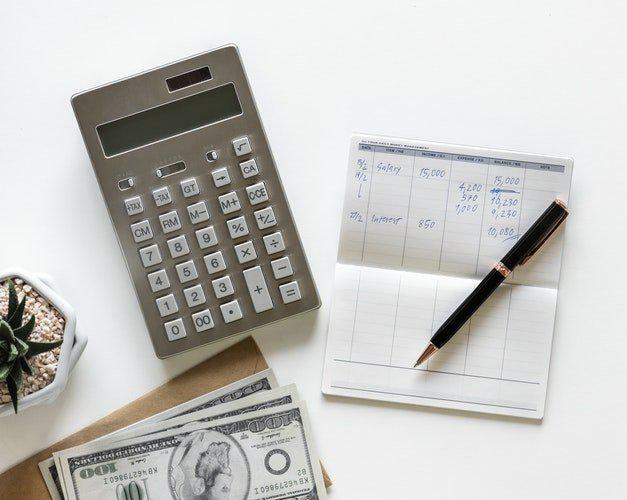 How to Take Control of Small Business Finances?